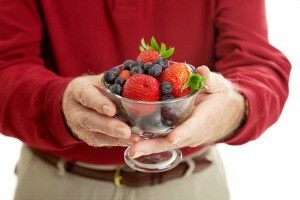 If you were told that eating the right diet could help you prevent Alzheimer’s disease, would you change your habits? One out of three people over 80 years of age will develop this debilitating disease, but you can lower your risk by up to 40 percent just by eating the right foods. Spinach and kale are two leafy greens that can help prevent cognitive decline. In addition, cruciferous vegetables like broccoli also improve mental health. These foods are abundant in vitamins C and E and also contain antioxidants that neutralize free radicals and clean your system. Fish contains omega-3 fatty acids, which not only improve heart health but also promote brain development. Add white tuna and salmon to your diet to reap the omega-3 benefits. You can also add walnuts and olive oil to your diet, both of which contain omega-3 fatty acids and help reduce inflammation. Blueberries, blackberries and raspberries all contain powerful antioxidants that help clean up harmful free radicals in your system. They also stop inflammation and help your brain cells to work effectively. Consider eating cranberries and strawberries as a snack or an after-dinner treat. Make the switch from milk chocolate to dark chocolate for a boost in cognitive function. A 70 percent chocolate bar contains flavonoids that help with circulation. It can also fight heart disease and slow the effects of dementia. Pinto beans and black beans are high in fiber and low in calories. They have very little fat and are part of MIND, a healthy diet which stands for Mediterranean-Dash Intervention for Neurodegenerative Delay. Researchers suggest that eating beans at least three times a week can help reduce your chances of developing Alzheimer’s. Changing your diet is as simple as throwing out the junk food and filling your cupboard and refrigerator with good, wholesome foods. A dinner that is rich in leafy greens, beans and fish can help boost your immune system, cleanse your body of free radicals and improve your brain function. Finishing your dinner off with a piece of dark chocolate is another tasty way ward off disease.